With sun being the predominant force in central Texas, the trend of bringing the indoors out is catching on faster than greased lighting. 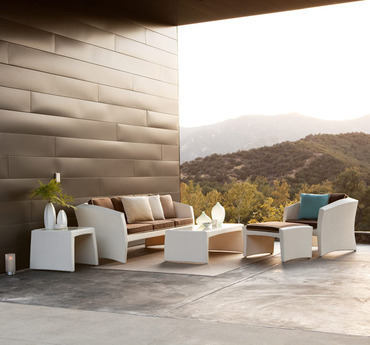 This outdoor space gets style from DellaRobbia’s outdoor line. What many people struggle with is how to combine the comfort of indoor living and lounging with the constraints an outdoor lifestyle bring about. Then tack on the design challenge of making the two spaces compliment and flow together and most people feel lost before they even start. 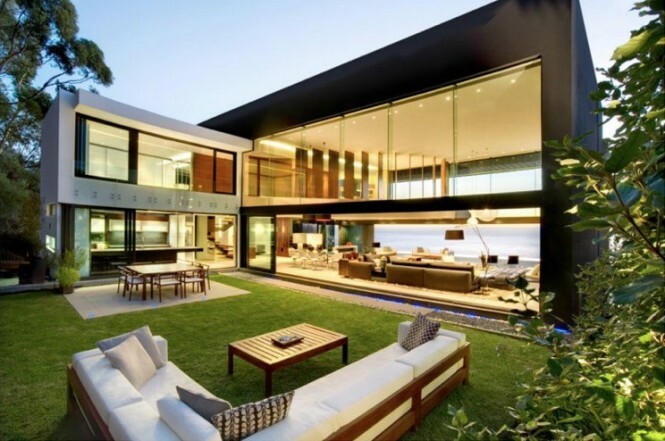 Love the flow on this indoor/outdoor space. Here are some easy tips for creating an outdoor living space for your home. Choose quality furniture that will last through the seasons and stand the elements. View your patio furniture the same way you would your living room furniture. Look for quality, strong frames, comfortable cushions, and clean lines that won’t clutter the eye. Design your outdoor space with your lifestyle in mind. Love to cook? Build an outdoor dining and kitchen space. Need a place to relax? Use loungers create inviting spaces to escape. Entertain? Provide several vignettes and lots of seats for your guests. Want to relax? Use your outdoor space for a quiet moment. 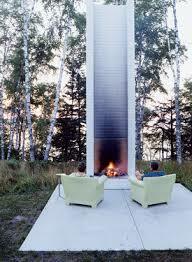 Use the outdoor space to dictate your design. If you are blessed with views, don’t cover them up. Showcase them with the placement of the furniture. If you live where trees canopy the yard, take advantage of that shade with a hammock or lounger. Let nature provide your accent pieces. 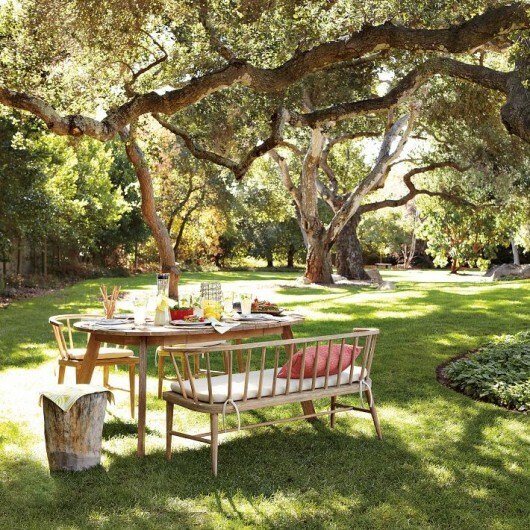 Use the trees to provide shade for your outdoor dining.